← The Amazing Haziq by Azhar Mahfof.. I walked in the playground at Lake Garden and I saw this little bird on the tree. It was a little talking Mynah bird looking hungry for its meal. The Common Mynah is a mynah ( Myna ), a member of the starling family. This bird is native in southern Asia from Iran and Kazakhstan to Malaysia and China, and in Egypt. It is also known as the Indian Mynah and as the Talking Mynah for its ability to mimic human speech.. 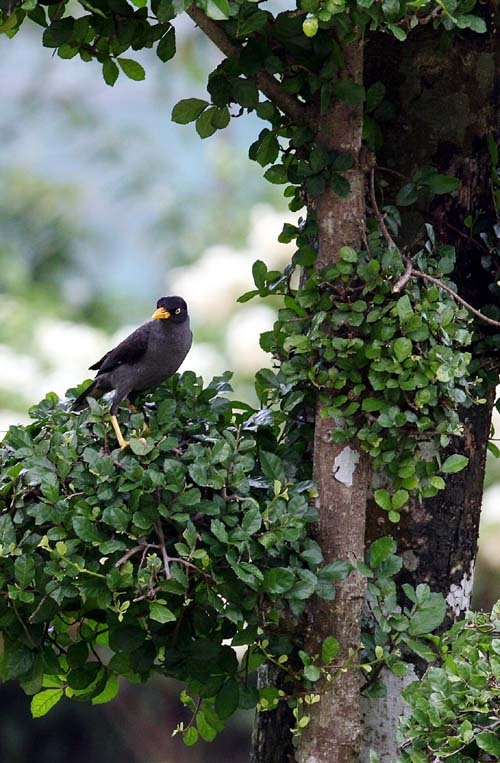 The Common Mynah builds a nest in hole in a tree or wall. The normal clutch is 4–6 eggs. This 25-cm-long bird has dark brown body and wing plumage, with large white wing patches obvious in flight. The head and throat are dark grey. The bill, bare skin around the eyes and strong legs are bright yellow. The sexes are similar. Mynahs mate for life. 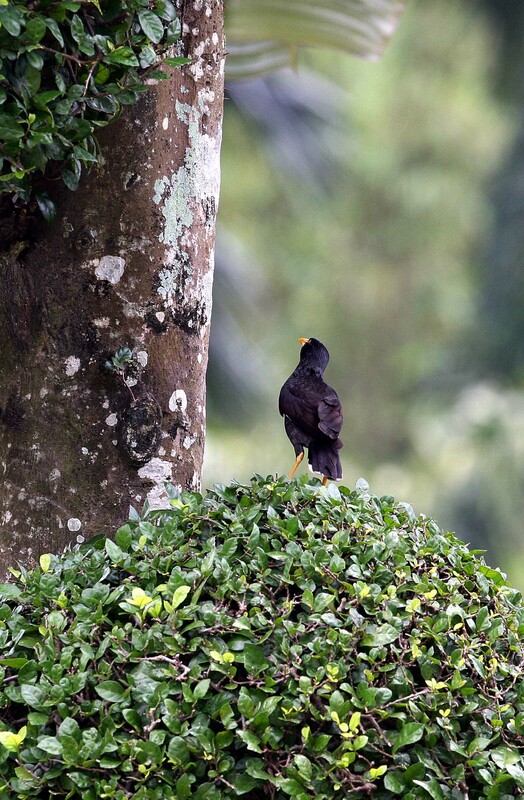 This entry was posted in Bird, Blogging, photo, photography and tagged Bird, Common Mynah, Mynah, photo, photography. Bookmark the permalink. I don’t know that the Common Mynahs are originally from India…I always find these birds walking along the roads. Copyright © visuallens. All Rights Reserved. Duplication prohibited. Do not copy or download pictures.